Our nation’s energy infrastructure is at the beginning stages of a massive transition as we come to terms with and address the implications of our reliance on fossil fuels. The first stage of this transition will be the retirement of much of America’s fleet of coal plants, due both to more stringent environmental regulations and the increased competitiveness of natural gas. Beyond environmental and climactic benefits, the shutdown of these plants creates an interesting planning opportunity to consider how lands previously used for energy generation from coal can be redeveloped and put to new uses. Adi Nochur (MCP ’13) confronts these questions in his thesis. He considers the cases of three Massachusetts coal communities—Salem, Somerset, and Holyoke—that must make decisions about plant shutdown and reuse, with a primary focus on the ways in which the planning process has or hasn’t opened up opportunities for concerned stakeholders and the public to get involved. There has been little consistently in the ways that Massachusetts towns plan for the transition from coal, Adi finds. Salem has been a leader among the three, as town officials have aggressively considered options for reuse and have given environmental advocates and the public seats at the table. Adi also notes differences in state leadership and the level of funding granted for reuse planning efforts amont the three towns. He presents Chicago as a model for Massachusetts coal communities to follow. Officials there have emphasized stakeholder engagement and strong government leadership in coal plant transition planning. In general, Adi’s thesis raises questions about the appropriate uses of former coal sites. Often, as will likely be the case in Salem, shuttered coal plants get a second life as natural gas facilities, though this outcome may not be in the best interest of communities that have long dealt with the local health and environmental consequences of fossil fuel energy production. 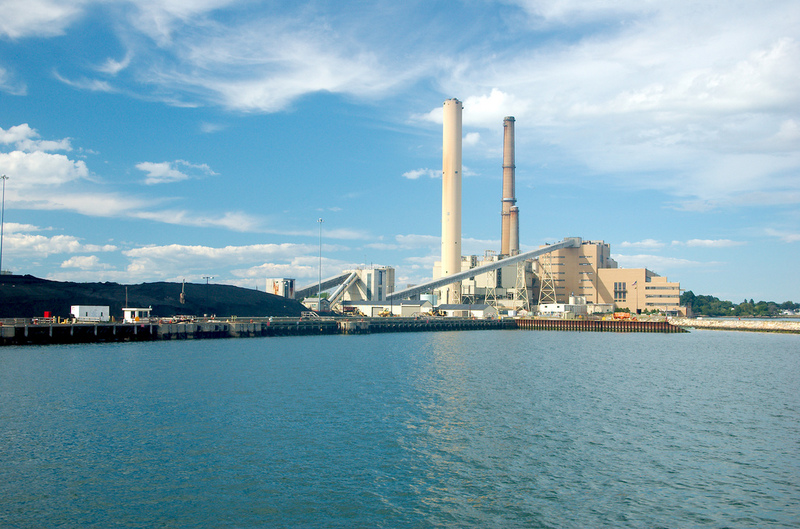 Adi is hopeful that Massachusetts and other states will consider a broader range of ideas and stakeholder views as they make plans for a post-coal energy sector. Read more about Adi’s findings and conclusions in his thesis. Posted on February 18, 2014, in energy efficiency, environmental justice, Massachusetts and tagged Chicago, climate change, Coal, energy efficiency, fossil fuels, Massachusetts. Bookmark the permalink. Leave a comment.